Fertile Ltd. is an urban garden center located at 1646 W. Diversey Pkwy. in Chicago’s Lakeview neighborhood. Our 25,000 sq. ft. retail facility provides an excellent selection of cut flowers, annuals, perennials, shrubs, trees and garden elements. 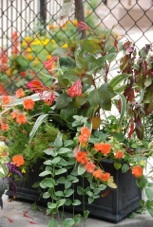 Our services range from seasonal containers to garden design/installation and maintenance services. 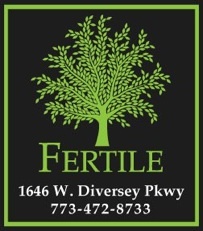 At “Fertile”, our emphasis is on providing our customers with great service and the best plant selection in Chicago. Fertile caters to the urban gardener, the homeowner and landscape contractor. Our experienced staff offers personalized service. Our buyers and sales people are one-in-the-same, ensuring product knowledge and the ability to provide exceptional advice. Our remodeled facility creates a botanical urban oasis for all. Copyright © 2013, FERTILE LTD. All rights reserved.